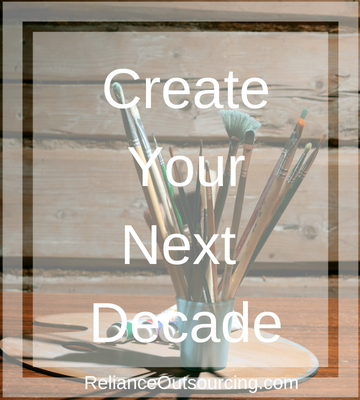 Where Do You Want to Be a Decade from Now? About 16 months ago, my husband and I started looking at where we wanted to be for the next decade of our lives. This thought process was filled with feelings of freedom. We weren’t looking at life as it stood that very moment, we were focused on our future! Where did we want to be? I am facing 6-0 in a few months, and even though I do not feel my age, I know that I am tired of the fast-paced hustle bustle merry-go-round, and I also want to provide a lifestyle to myself, to us as a couple, as well as a reflection for others to see that they can paint, create, and live their dreams as well. So, we began the process of deciding where and how we wanted to live. This past week, we moved to Waco. We got out of Austin – a very popular city, but crammed with traffic and growth. We downsized. We minimized. We left our full-time work and planned our businesses so that we could blend family and play back into our lives. We looked at the next decade, and figured out how we wanted to live it out. When we turn 70, our hope is to be able to say, “I enjoyed the past 10 years!,” rather than, “Why did I work so much? I am now tired!” What is more important than that? Not a lot. This makes me think of my favorite motto, that I’ve spoken many-many times to others this year, “Take care of you!” God didn’t give us this life to not do that. Take care of you.